Originally from ….born and raised in Sacramento!! How I found 9RUN6 …my daughter (who is a regular with NPSF) was home on spring break in 2014 and brought me to the 1st NP_Sac workout. From that 1st day I was hooked and have only missed 2 workouts when I have been in town. What 9RUN6 means to me … it’s actually pretty simple. 9RUN6 is filled with likeminded people who enjoy working out and being social. It’s about who is the fastest or who can run the furthest, it’s a group of random strangers who have become more than friends, we have become a family. New members are always welcomed into the group and encouraged to continue coming every Wednesday and Friday. Favorite race distance … I enjoy the Half Marathon distance the most, it takes less training, is less time consuming than marathon training, is less of a strain on family time, and is fairly easy to complete…..BUT, I do love the challenge of the Marathon, not only physically but mentally as well. You have to RESPECT the distance. Favorite race I have ran … My favorite race would have to be my 1st marathon, The San Francisco Marathon 2015. Top race on my bucket list is … Of course there is the ultimate, the Boston Marathon, but I just don’t know that I will ever qualify based on time and that’s the only way I’d run Boston. So being more realistic, I’d have to say the New York Marathon. Favorite musical artist and song … When running solo on training runs I always put Pandora on some sort of upbeat house/club station like Benny Benassi, but my all-time favorite is the cover of Neil Young’s Cortez the Killer by Dave Matthews Band. 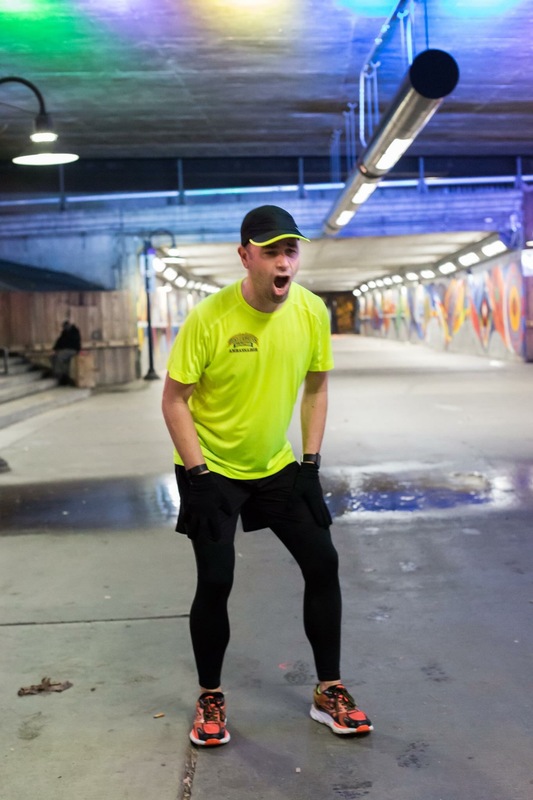 A little more awesome stuff about me … Not too much awesome stuff to tell, being one of the ‘elders’ of 9RUN^, I love pushing myself and trying to keep up with the youngsters. When I was growing up, I promised myself that I would always be in good enough shape, that I would be able to go outside and play with my kids, just like my dad did with me. I kept that promise to myself and to my unborn children, and to this day I am able to go outside with them and be competitive in anything we do. It may have taken a couple of tries, but I am now blessed with the greatest marriage I could ask for! I married my best friend from high school and became an instant grandfather. Becoming a grandfather has given me another goal in keeping myself in shape so that I can go outside and play with my grandkids!! Previous Article This is Brad!